Become One of Our Success Stories! My name is Kelsey Murray During my whole childhood, I struggled with my weight. At age 10, I weighed 150 lbs. I was the fat kid in school everybody knew. I have always battled losing this weight and was never successful. At age 18, I was at my heaviest at 215 lbs! 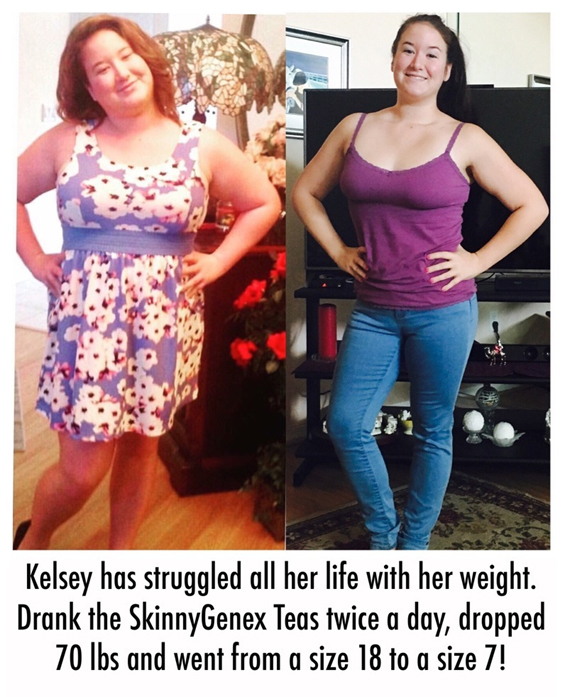 A little over six months ago, I began drinking SkinnyGenex™ Tea and it has changed my life! I can proudly say I am closer to my goal weight then I've ever been. I have lost 70 lbs and went from a size 18 down to a size 7! More… I call it the loophole to weight loss! So, thank you Mike Babcock President of Xtreme Healthy Lifestyles and thank you Dr. Allen for these amazing Products. When all hope was lost, this was the light at the end of the tunnel I've been chasing. My name is Patrick Gifford I am a 61 year old male and in the last few months of 2016, I suffered with severe swelling in my feet and ankles mostly on my left side. My primary Doctor treated me with fluid pills and Potassium to get rid of the fluid, which did not help at all. In late January, I was sent to the Heart center to see a specialist. The Doctor thought the fluid was coming from some of my veins not working right, causing the swelling in my left foot and ankle. On January 23, 2017 a CT Angiography of my abdomen and pelvis was done on January 23, 2017. It confirmed what the Doctor had suspected. The CTA reported that my “iIliac confluence and proximal left common iliac has evidence of moderate to severe obstruction”. On a follow up visit, the Doctor wanted to put a stent in to correct the problem. I wanted to wait to see if the problem got better but it only got worse. More… Then one day my wife received an email from Lynn Cooper about Xtreme Healthy Lifestyles and their products. I thought it may address some of my health issues so we joined and decided to try the products. 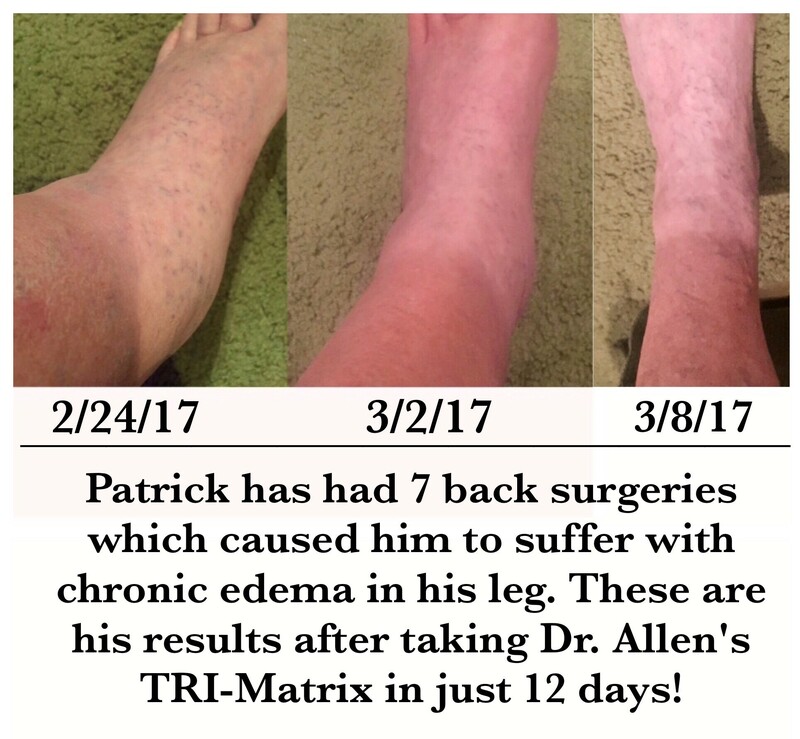 In just 6 days of using the Tri-Matrix MD, it has made a huge difference in my swelling of my ankles and feet! Today, it looks to be normal size again! I also lost 8 lbs. and dropped1 pant size in less than 2 weeks thanks to the SkinnyGenex Tea and Tri-Matrix MD! Thank You Mike Babcock for starting Xtreme Healthy Lifestyles, and Dr. Allen for your Awesome Products! Hi my name is Maggie Phillips. It used to be that if I ate healthy for a week I'd lose 2-3 pounds a week easily. But I yo-yo dieted for years and that caused my metabolism to slow down tremendously. Since I turned 40 I just couldn't lose more than a pound at a time even with extreme effort. I would still try to eat well most of the time and exercise regularly just to stay in shape, but the fat didn't go away. I started drinking the Skinny Genex teas and the Tri-Matrix MD in November. I immediately started losing about 1-2 pounds per week, and on the holiday weekends when I would overindulge, any weight I gained would be gone in 5 days. By the end of January I had lost 8 pounds and 6.5 total inches, 1.5 off my waist! More… The first time I took the Tri-Matrix MD for exercise, I came back from the gym feeling like a 20 year old again! I also noticed that I could lift more weight and be less sore than ever before. It keeps my energy up for cardio too, so I can push myself harder and maximize my efforts without feeling run down. Being over 40 I used to really feel how much longer it would take my muscles to recover and the Tri-Matrix MD cuts that soreness in half or more. I've never felt better! I like to use the night time protocol too when I've done excessive exercise, or if I start to feel under the weather. Then I wake up feeling like a new person again! The teas gave me energy right off the bat and after regular use, I no longer have cravings for sweets, and my appetite is half of what it used to be. That's a huge change for me because I have always eaten large portions and I could easily eat more than a man. Now my portions are more fitting of an active woman and I'm not even trying, which has cut my grocery bill in half too! I actually bring home food when I dine out because I can't finish it... FOR THE FIRST TIME IN MY LIFE! No joke. Since the coffee came out I've been in heaven. Coffee normally makes me tired, and now I know it's because it causes a blood sugar spike and then crash. The Skinny Genes Java doesn't do that at all. No crash, just steady energy, and I feel fantastic. All of the products give me a very natural, healthy energetic feeling. I've been shocked at the difference after trying different energy and pre-workout drinks. Those all made me feel hyped up like I was on a weird drug or something. But Dr. Allen's products just make me feel naturally good, much like the feeling of eating a healthy and nutritious meal. My name is Mitzi Jarrett. and I love both the SkinnyGenex teas and the Skinny Genes Java! My story is short and sweet. My son has special needs and his calorie intake has to be high. It isn't feasible to make multiple meals and it is physically exhausting being a caregiver for someone in a wheelchair. I needed a energy boost and weight loss system that would work with my unique circumstances. I am happy to say, I lost 6 pounds and 14 inches in 90 days! I am feeling more photogenic. Thank you Xterme Healthy Lifestyles and Dr. Allen for these amazing products..
My name is Patrice. At the age of 59-years, I was depressed, an emotional eater, no motivation to exercise, getting fat and always having aches and pain. You have no idea how many different products I had tried to change my lifestyle, but nothing worked. Every morning I woke up and said I am going to change my life. Then during the course of the day, I would tell myself that I will start tomorrow instead and will have this sweet now as it would make me feel better. My weight was up to 140 lbs. and my waistline to 30” - which for me was a lot because I am 5'4". This created an “Oh what's the difference” - so I just ate more, in fact I was on the SEE FOOD diet! Lol More… I received my Skinny Genex Tea and TRI-Matrix MD on February 4, 2017 and started my 90-Day Challenge. I started drinking the Skinny Genex tea between meals and the TRI-Matrix MD before working out and at night. The first couple weeks, my brain was go ahead and eat. Gradually, the cravings wore off and I can say no to sugar; now I look at the dessert and my Skinny Genex and choose my Skinny Genex. I feel as if I am 25 years old, working out with weights and actually for the first time was able to start running for about 100 yards without being out of breath. On the TRI-Matrix MD, my body feels renewed as I lift weights that I thought I would never be able to do again. I am 32-days into my 90-Day Challenge. My waist is now 28” and I am down to 131 lbs., burning fat while gaining muscle mass! My goal is to be the best that I can be physically, mentally and spiritually. See me on April 4, 2017 for my transformation results when I finish my 90 Day Challenge! Thanks Dr. Allen for giving me a new lease on life!!! Thanks Mike Babcock for giving us and so many others the benefits of these products. You have changed my life!! Thank you!! 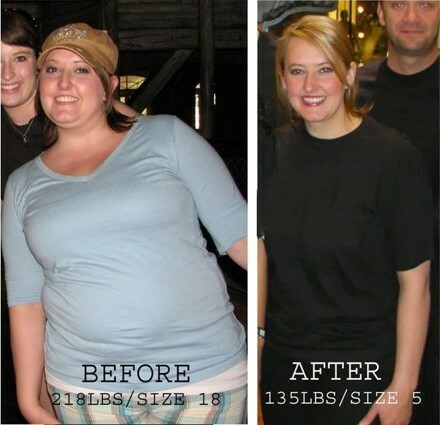 My name is Megan Knight and as a mother of 5 children I had struggled with my weight for years. I wore a size 22-24 and weighed 256lbs. I had tried almost every diet plan, shake and pill imaginable and nothing seemed to work for me. I was so discouraged and wanted to feel better. I was introduced to a Dr. Allen’s fat burning tea and after a couple days I felt amazing. 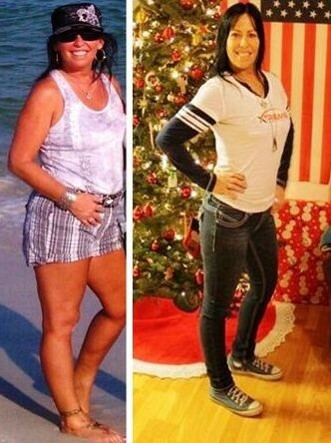 I continued on the product faithfully twice a day and in 2 the first two months I had lost 32lbs. I continued on the product faithfully twice a day and the pounds just kept coming off. After 8 months I was down 72lbs and after a year I had lost 121 lbs and wearing a size 6!! Dr. Allen’s products have been a life changing experience for me. I have become a totally different person and people who knew me for years couldn't believe it. I gained self esteem and was able to do things with my children that before I couldn't due to my weight. Theses products are truly amazing. More… I have now lost a total of 125 pounds and now wearing a size 4. I am maintained my weight and never gained a pound back until I got pregnant again. I had a rough pregnancy but amazingly after gaining 90lbs with the pregnancy I had lost 70 of it after a year. I recently stopped nursing so a little over a month ago I got a call from Mike Babcock with Xtreme Healthy Lifestyles and he told me that he was working together with Dr. Allen again. I have now gotten back on the product and I have lost another 12lbs already. The difference in this product is that you don't gain your weight back and my body was able to maintain my weight. I am so thankful for Dr. Allen and Mike Babcock President/CEO of Xtreme Healthy Lifestyles, because without her amazing products I wound not be the person I am today!!! Hi, my name Erin from Oregon and I burned 83 lbs. of fat with Dr. Allen’s “Fat Burning Coffee”. The first time I was introduced to Dr. Allen’s “Fat Burning Coffee” I was 218 lbs. and a Size 18 and one year later, I am 135 lbs. and a Size 5. I had migraines; I had IBS, acid reflux, joint problems, sleep apnea and I was borderline Type II Diabetic. They said if I didn’t change my lifestyle or my eating habits that I’d be on insulin for the rest of my life, and at 26 years old, if I could control that, I would have and I tried everything. I tried Weight Watchers, Jenny Craig, Atkins, I tried the gym …. Nothing seemed to work for me. My father called me and told me about a company that claimed to have products to burn fat. I figured if it at least gave me some energy and would try it and it would be worth it. I had a cup of coffee before breakfast, and a cup of coffee before lunch. I didn’t change my eating habits, I didn’t change my lifestyle and I burned 19 lbs. of fat that first month. More… I burned more fat in one month that I burned in anything else I tried combined. My weight just kept coming off; I kept burning more and more and more fat. I went from 19 to 25 to 34 to 70 to now 83 lbs. down. I can’t tell you what these products and have done for me. It’s more to me than burning the 83 lbs. of fat. You see, I am a jeweler and I have to sell pretty things to pretty people to make beautiful memories and I didn’t want to get out of bed in the morning, I didn’t want to look myself in the mirror, I didn’t want to make eye contact with my clients. More importantly, now I can make eye contact with myself and I can make eye contact with the clients. I, for the first time, am confident enough to believe myself and say, “I’m worth it”. It’s OK that I burned 83 lbs., that’s not what’s important. It’s important to me that I have my life back, so thank you, Dr. Allen, for your vision and for your products. I could never repay you for what you’ve given me”. 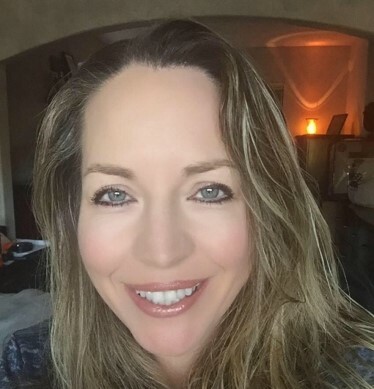 My name is Lynn Cooper and I am a Registered Nurse, Wife, and Mother. I worked as a RN in a busy Emergency Departments for 28 of my 30 years in my Nursing Career. Being part of the Medical Industry I was initially very skeptical when my friend introduced the products to me. I was gaining weight especially around my mid-section. I would diet – the low fat – fat-free way, exercise and didn’t understand why I was going up and down with my weight. I suffered from blood sugar crashes not realizing that my regular coffee, tea and diet sodas were causing it. I am mostly Italian and food is a passion in our family. More… Then one day my doctor told me that my lipid profile was not good and that I needed to start medication. I called my friend 5 months later after she initially told me about Dr. Allen’s products to ask if I may try the products for 90 days. I mostly consumed the fat burning peach mango tea twice a day as it was so portable to drink wherever I was. It was convenient to have a packet of tea in my scrub pocket and mix it into a bottle of water. I also consumed the night time protocol of the Matrix. I dropped 32 lbs. and went from a size 10 to a size 5 – the size I was in High School! I improved my lipid profile, raising my HDL from 40 to 70! I enjoy the steady sustained energy rather than the blood sugar crashes! I love the way I feel and look at age 52 and the opportunity to share the products with others! My goal is to become an Ambassador with Xtreme Healthy Lifestyles and have FUN helping people along the way! Thank you Michael Babcock and Dr. Allen for these amazing products to help turn back time and help others restore their health physically and financially! Hi, my name is Gay Hampton from Colorado. I was introduced to Dr. Allen’s products in June of 2011. I was at a low place in my life. My weight had crept up, I developed type 2 diabetes and my doctors were saying that if I continued the way I was going I would be on insulin. I believe God brought both these amazing products and the business opportunity into my life at just the right time. 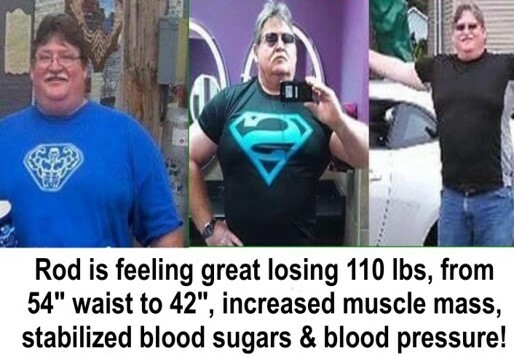 Over the following 10 months I lost 42 pounds, my blood sugar levels dramatically went down and stabilized – no longer is there any talk of becoming insulin dependent. I was very consistent using the products according to protocol...and the weight came off even eating a McDonald’s breakfast every morning on my commute to work! The best part is that I have kept it off for over 4 years! More… I recently began using Dr. Allen’s Skinny Genex iced tea again and have dropped 10 more pounds in 3 months, plus the dreaded “belly fat” is shrinking! I became a distributor but originally I did not do anything more than consume the products. However, I found it was easy to talk about the benefits of the products and was a walking advertisement! I began sharing the products and the opportunity, so others could have the same benefits I had. I loved what I did and on top of it I got paid to do that! Not only that—shortly after I was able to retire from a stressful job because of the extra income. Little did I know that the other values of being a distributor would be as important as the income? The training is stellar, the personal growth opportunities are astounding and the people in the entire organization are the kinds of folks I want to surround myself with…positive, sharing, caring, helpful, patient, spiritual, and knowledgeable, fun, sincere, ethical, and the list of superlatives could go on! There are no downsides to this opportunity. My life is better in every way since I first began this journey. I am grateful. Hi, my name is Missy, and I am a working mom, married, and I live in Pennsylvania. I started using Dr. Allen's products in March of 2014. I knew I had reached a point where I had to lose weight and be healthier. When a friend of mine introduced me to the products, I wanted to give it a try, even though I was skeptical. My previous endeavors in losing weight and keeping it off hadn’t lasted very long. I was never able to keep it off for long and always gained it all back. Along with the weight issue came the fact that I seriously struggled with extremely low blood sugar levels for years and I was at high risk to develop more serious health issues if nothing changed. More… So I started using Dr. Allen's products. I noticed right away that this was different. Drinking the fat burning coffee, the Peach Mango tea and Matrix just made it easier for me to eat healthier and get moving, because I had more energy. I lost 40 pounds! The skinnier me looks very different. My clothes are smaller. My waist went from 46” to 37”. That’s 9” less. My hips reduced by 7”, from 49” to 42”. My thighs got smaller by 6” each, from 27” to 21”, and from 28” to 22”. My biceps reduced by 3” each, my knees by 4” each. In total I lost 56” all around and reduced my clothes size from 20 to size 12! 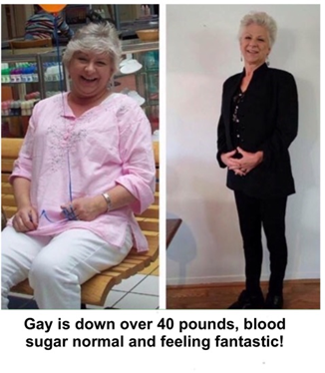 While I was happy that I was shrinking so much, it’s my healthy blood sugar levels that amazed me most. Shortly after consuming Dr. Allen's products, I felt that my body was getting healthier. I was thrilled when tests showed that my blood sugar levels were now within a healthy normal range. I had great energy and I no longer struggled with the lows. Knowing that I am out of the danger zone as far as my risk of developing more serious health concerns is worth to me more than I can even express. So for anyone interested in the Xtreme Healthy Lifestyles beverages, my advice is: Take the products! And when you feel the energy from them, get up and do something. Take a walk, exercise, just get out of that chair and move! Hi my name is Sherry, I've been heavy (and unhappy) for the last 25 years. I tried everything, and I mean everything... Nothing worked!! One of my best friends from high school had become a distributor and he gave me a sample. I loved it! He gave me enough samples for a week. 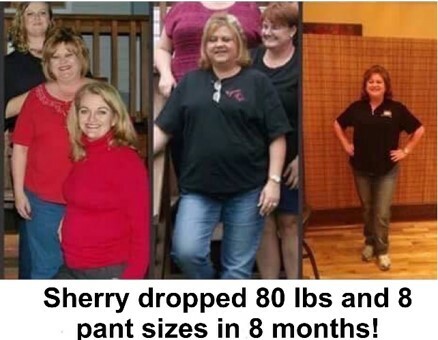 I lost a pant size! I was hooked!! 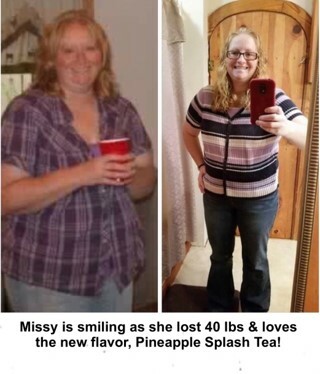 When my first order arrived, I got serious about my weight loss and my health. 10 months later I had lost 50 lbs!! Then another 24 lbs. I've lost a total of 80 lbs. and 8 pants sizes thanks to these amazing products!! I'm happier and healthier than I've ever been and it's only going to get better from here! Thank you Dr. Allen and Mike Babcock!! Hi I'm Julie from Pennsylvania and I'm the Mom to one of the finest Submariners in the United States Navy - Derek, and a Grandma to the dynamic duo (twins) Dylan and Dash and my newest grandson Dawson! My grandsons call me "JuJu". Prior to Xtreme Healthy Lifestyles I was a Professional Sign Language Interpreter - unfortunately I had maxed out my earning potential and I didn't want to settle for "this is it" for my life. I love riding my motorcycle and I have a zest for travel. A "must-have" in my life: A current passport! More… Before Dr. Allen's products, I felt sluggish, tired most of the time, and out of shape, easily out of breath - considered morbidly obese by the American Heart Association. My original goal was simply to lose weight. Since drinking Dr. Allen's products, I have experienced big changes in my life. The biggest change is that my body size decreased and my energy levels increased. I am down 30 pounds and have maintained this weight loss since. I was a size 20 and now I'm a size 16 and still shrinking. My approach to health and wellness is 3 pronged – Mind, Body, & Spirit. Dr. Allen’s products match nicely with my approach to overall health. Through taking nutrition, spiritual practices, and exercise. I am confident the remaining weight will shrink away! Now I have more confidence, more energy, and more FUN in my life. Not only that. 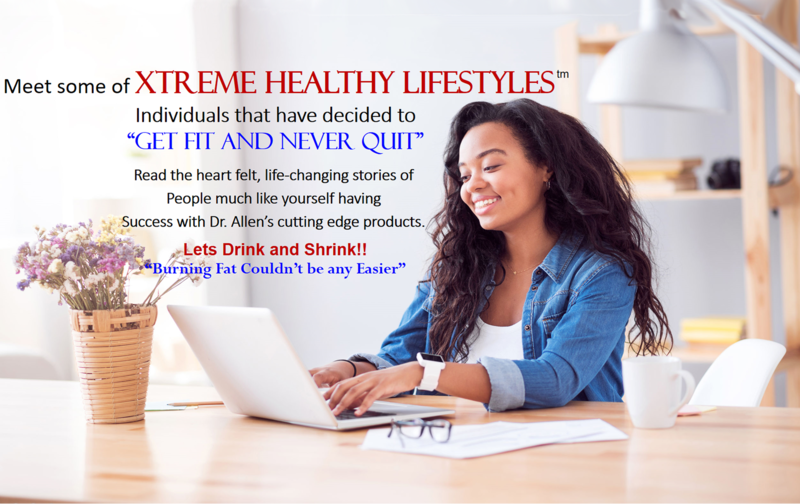 When I started losing weight, I quickly realized the potential for my financial future if I shared these exclusive products with people and help them slim down in a healthy way, as well. Moving forward, my HEALTH goal is to lose the remaining 30 pounds. My FINANCIAL goal is earning an income that supports myself 100% as I grow my team. My Xtreme Healthy Lifestyles goal is to become an Ambassador and have fun along the way. And I am very grateful that in my quest for weight loss I gained a circle of like-minded friends and business partners from all over the U.S. I have a feeling that I belong to something bigger - providing a solution to my community's obesity and diabetes issue and helping to ease financial hardships. Hi, I am Sandy Wagner; I’m a proud Mom and grandma with two great kids and four wonderful grandkids and have always lived in South Dakota. I became an entrepreneur at the young age of twenty-three after my children started grade school. I have always been a hard worker and was never afraid to set my goals high and rise to any challenge—as I did in 2007 in compiling and editing a 100-year history book about our small community. When I first heard about Dr. Allen's products, I was at a craft fair. My daughter, Lisa, and I decided to invest in the products to see if they would give us any results with helping us lose our unwanted weight. My self-esteem had never been very high. While growing up, my height (now 5’11”), paired with the fact that I am not athletic, led me to always feel unhappy about my appearance. My excess middle that I called my ‘muffin top’ was a large health concern to me, as I had heard it could lead to terrible diseases. I also was never happy with my large legs and flabby arms. More… Once I was introduced to Dr. Allen's products, I decided it couldn’t hurt to try them. I would start my morning with our fat burning coffee, and before lunch and supper I have a Peach Mango tea. I complete my day with the nighttime protocol of Matrix that lets me get a full night’s rest without a prescription. 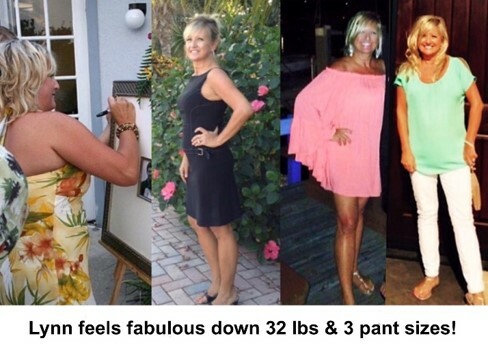 The results are amazing and I am so pleased that I have lost 35 pounds in 15 months and kept it off. I have gone from wearing a men’s jeans size of 34x36 to being able to wear a ladies’ size 6. I have lost 5 inches around my waist, 4 inches around my hips and 4 inches around my arms. Best of all, I have improved my self-esteem. I feel so much healthier and so much better about myself. 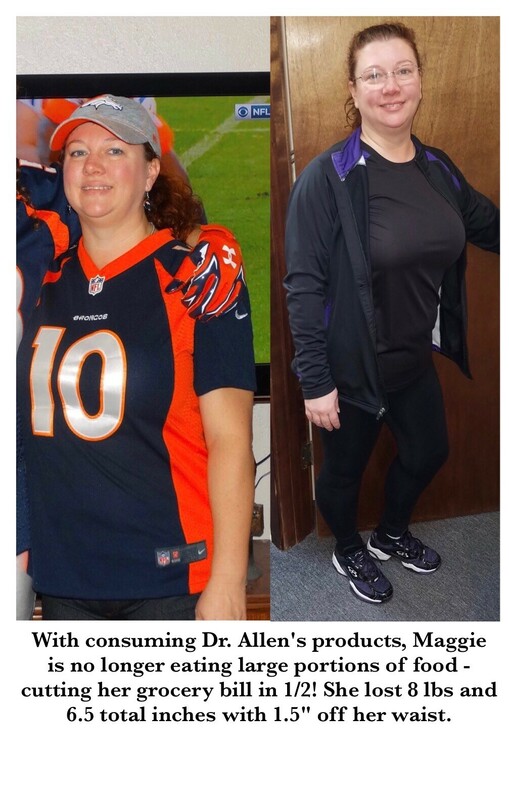 Dr. Allen's products have helped me to eat healthier, to lose weight, and to keep it off. Dr. Allen's products make me proud to be able to use organic, healthy, and diabetic-friendly alternatives to the previous unhealthy ones I used to drink. I love sharing them with people and telling my story about how they have helped me transform my life. My advice for people that are just getting started and that truly want results is this: You need to make a commitment to yourself and use the products. Follow the protocol for 90 days to really see the benefits and experience great results. Hi I am Angela Bowers; I suffer from severe migraines and have them up to 15 days per month. I have been prescribed 6 different medications; see a neurologist, acupuncturist, and a chiropractor for them... None of which have provided me any relief; if anything they've gotten worse after treatments. I went to a naturopathic doctor a few years ago and she did a spit test and dx me with metabolic syndrome. Every time I saw her it was $150+ so I went to my primary care doctor and told him about the dx and asked him to run blood tests to see if my hormones were out of balance. He did and the test came back fine so he just prescribed pain killers and preventative meds that people with epilepsy take! A few months ago I was introduced to a product called Tri-Matrix-MD™. It's an anti-aging and pre-workout sports performance enhancing drink used by the MLB and Olympians and meets their anti-doping guidelines. I was told it is low glycemic and has pharmaceutical grade L-arginine and increases your testosterone levels. It sounded interesting and in my desperation I said I'd try it. The evening of October 14th I drank my first glass of the Tri Matrix MD. October 15th was the first day since September 30th that I woke up without a headache! I now drink this every night since and haven't had ONE SINGLE HEADACHE. These Testimonials were sent from people just like yourself that wanted to share what they have had to overcome in their life’s challenges. 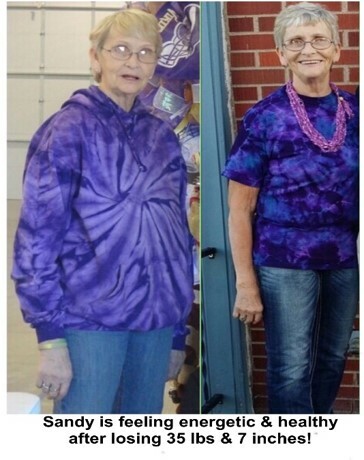 Xtreme Healthy Lifestyles has posted these heartfelt stories here to help encourage you. Remember no matter what your personal struggles are in life, you are not alone.